I love Memorial Day. It's the start of summer, of half-day Fridays at work, of barbecuing, of swimming pools. And, this year, it marks the last weekend before we're set to LEAVE FOR THE DOMINICAN REPUBLIC TO GET MAAAAAWWWWWIIIIIIEEEEED. But first, we're celebrating Memorial Day Weekend on The Lane. So, today I'm featuring some scrumptious-looking recipes from food blogs around the web that would make a great addition to your Memorial Day festivities. 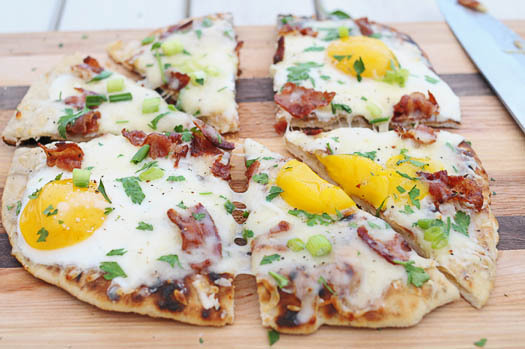 If you start early, like we do, make this grilled breakfast pizza by A Cozy Kitchen to go with your bloody marys. 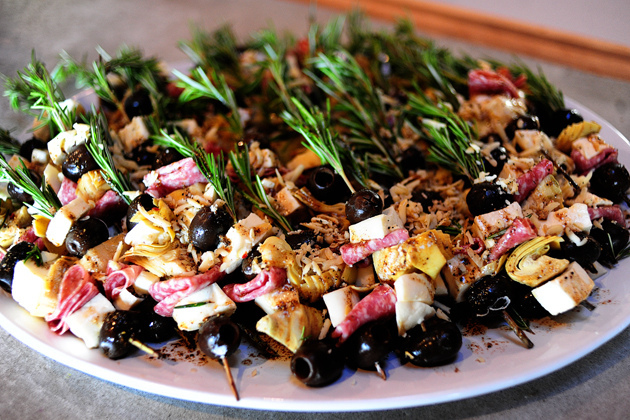 Rosemary Skewers from The Pioneer Woman. I inhale these if they are ever in my immediate (or not-so-immediate) vicinity. 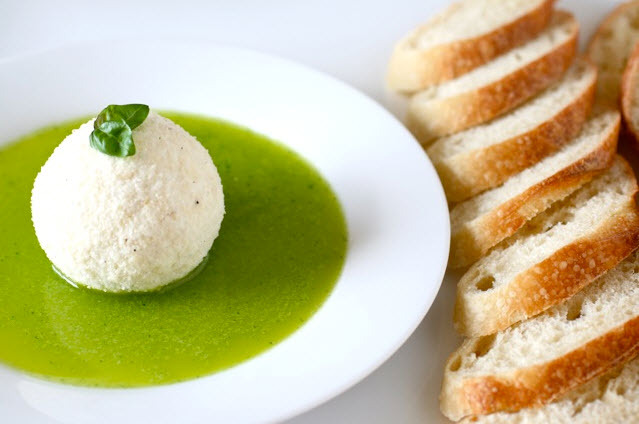 Parmesan-Crusted Goat Cheese with Basil Oil from Annie's Eats. I just love that color. 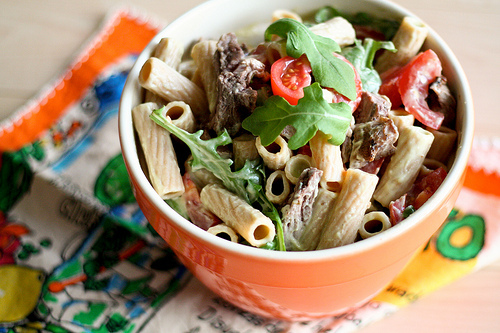 Pasta Salad with Steak and Blue Cheese Avocado Dressing from Bitchin' Camero. How can you not love a food blog with that name? 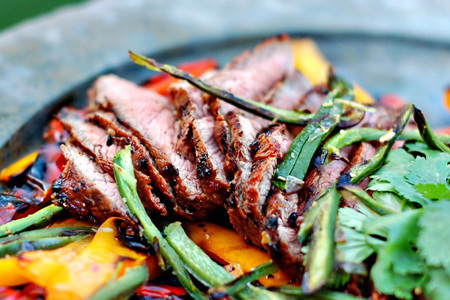 Chipotle Lime Steak from patiodaddio. This guy knows meat. And he knows the grill. Enough said. 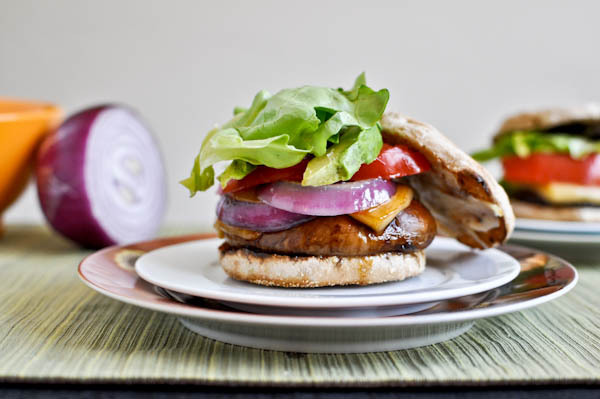 Portobello Burgers with Gouda and Roasted Garlic from How Sweet It Is. Love her. Vegetarian never looked so good. 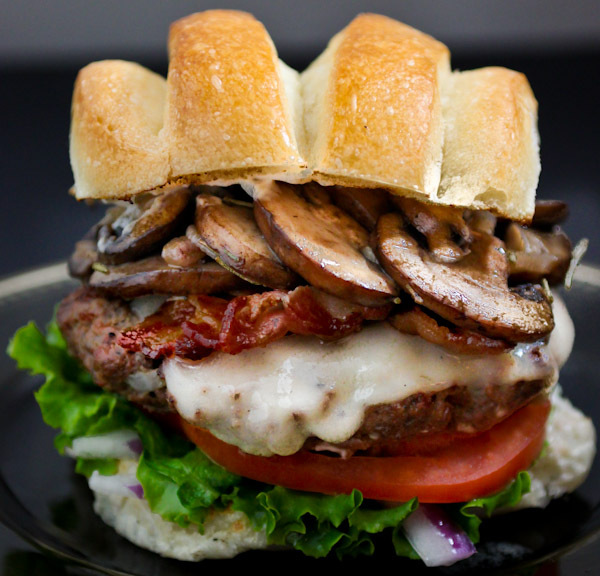 Mushroom Bacon Swiss Burger from Big2Beautiful. Has a picture ever made you more hungry? My goodness. 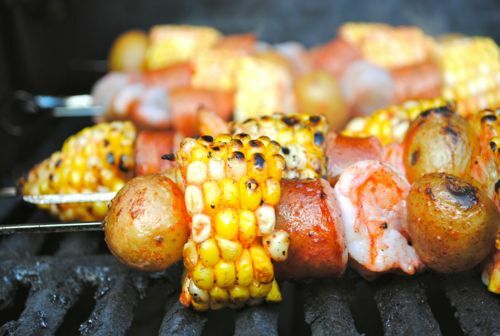 Shrimp-Boil kebabs from Bev Cooks. It just screams summer. 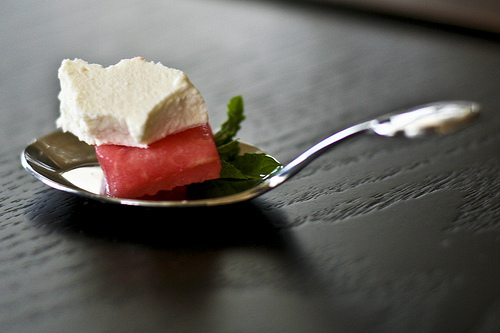 Watermelon, Ricotta Salata & Mint Salad from Bitchin' Camero. Make it sweet or savory. Individual servings or a big bowl. Happy Summer. Have a great holiday weekend!